I love the city of Seattle in the month of January. Everyone has a pep in their step in preparation for the NFL Playoffs. After an eventful Wild-Card weekend we know which of the surviving teams gets the opportunity to play at CenturyLink Field in the NFC Divisional playoffs. That team is the Carolina Panthers. 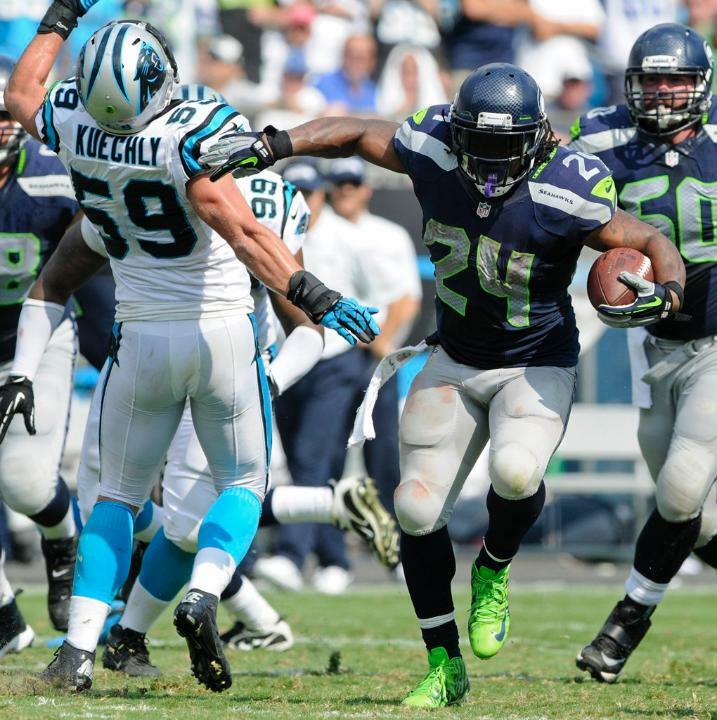 The Panthers take on the NFC West champion Seattle Seahawks Saturday night. The winner advances to the NFC Championship Game next Sunday. The loser goes home. Last week the Panthers became the second team in modern NFL history to win their first playoff game after entering the postseason with a losing record. Including that win last week over the Arizona Cardinals, the Panthers enter this game 8-8-1. The Seahawks are 12-4 and are looking to make it back to their second straight NFC title game. The Seahawks lead the all-time series with Carolina 6-2. Their last meeting came earlier this season when the Seahawks beat the Panthers 13-9 in Charlotte. The Seahawks went on to win 8 of their next 9 games. The Seahawks are also 3-0 all-time against Carolina at CenturyLink Field, including a 34-14 win over the Jake Delhomme/Steve Smith led Panthers in the 2005 NFC Championship Game. There are a lot of storylines to take note of this week. Here is what I will be looking for. In last season’s divisional playoff game against New Orleans, Seahawks running back Marshawn Lynch ran for 140 yards and two touchdowns on 28 carries. His effectiveness in the running game allowed the Seahawks to control the tempo of the game and there was never any significant threat of the Saints taking the game over. The same must happen this week. Seattle’s ability to run the ball is crucial this week since they are facing a defense that has not allowed a 100-yard rusher since October 30th (Week 9). If Lynch himself can run for at least 80 yards it will lead me to believe that we can control the clock and control the game. If the Panthers do a solid job stopping the Seahawks running game my number one guy to watch in the passing game is wide receiver Doug Baldwin. In three career games against Carolina he has 189 receiving yards and in his last two games against the Panthers, Baldwin led all Seahawks receivers in receiving yards. In addition to playing on the outside look for Baldwin to spend a lot of time in the slot this week, as quick throws and routes down the seam could be effective. Just like how the running game is priority number one on offense, stopping the Panthers running game is priority number one on defense. This will be difficult, as Carolina will use feature back Jonathan Stewart and the threat of quarterback Cam Newton scrambling gives the Seahawks an additional element to focus on. The Seahawks have faced Carolina each of the last three seasons. In each of those games I thought there was a serious threat of Newton running wild if the going got tough for the Panthers offense. In each of those games Newton rushed for only 42, 38, and 24 yards respectively. In a playoff situation I think now is as good a time for the Panthers to let Newton run wild if the Seahawks play great defense. Newton’s build and strength will make it difficult to wrap him up and get him to the ground. If there is a player you must keep a close eye on when Carolina has the ball, it is Cam Newton. Over the past few weeks the Carolina Panthers defense has been playing similarly to how they played all of last season, suffocating. If could be a difficult challenge for the Seahawks to get their offense going as the Panthers sport two tackling machines at the linebacker position in Thomas Davis and pro-bowler Luke Kuechly. Davis and Kuechly have combined for 253 total tackles so far this season, by far the best of any tandem in the NFL. The Panthers do come into this game a bit banged up however, as it was announced Wednesday that starting defensive tackle Star Lotulelei has been placed on injured reserve with a fractured foot. Lotulelei will not play for the rest of the season. As important as Carolina’s front seven is for the Seahawks to be aware of, I will be keeping a close eye on the play of the Panthers secondary. One of Carolina’s starting cornerbacks was inactive when these two teams met back in October so I have decided to put my X-Factor player to watch spotlight on that player, cornerback Bené Benwikere. Benwikere, a 5th round rookie from San Jose State, is a physically small player who has shown he can play big in his limited playing time this season. Benwikere has recorded 24 tackles in 11 games and has also picked off one pass and forced one fumble. Doug Baldwin and Jermaine Kearse will both likely line up across from Benwikere throughout the game and since he did not play in the first meeting, I would not be surprised to see Russell Wilson throw in his direction multiple times in the first half. This last point cannot be overlooked. Panthers quarterback Cam Newton has never played a game at CenturyLink Field. Former Panthers quarterback Jake Delhomme, who played in the 2005 NFC Championship Game in Seattle, came out this week stating there is no way to prepare for just how loud the 12th Man is. It had been reported earlier in the week that the Panthers were having serious difficulties handling artificial simulated crowd noise during practice; a serious red flag. Over the past few years we have seen what kind of problems “Clink rookies” have had communicating in the huddle once they get lined up. Colin Kaepernick immediately comes to mind as his 49ers failed terribly at handling the noise in his first game in Seattle in 2012. 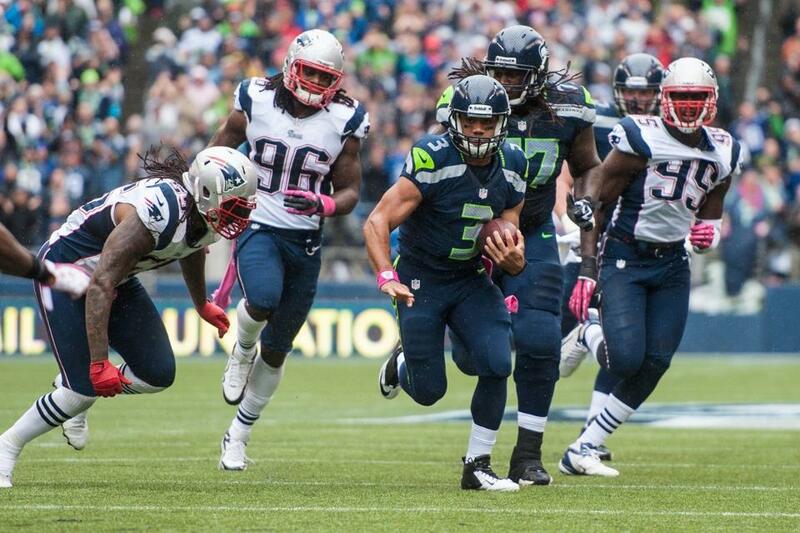 This week the 12’s need to give everything they have to make life a living hell for Newton. I believe Newton has no idea what he is in for and it will be a harsh reality once kickoff rolls around Saturday night. The Panthers used no huddle for 22 plays last week against Arizona and they will likely use a similar dose of no huddle this week. 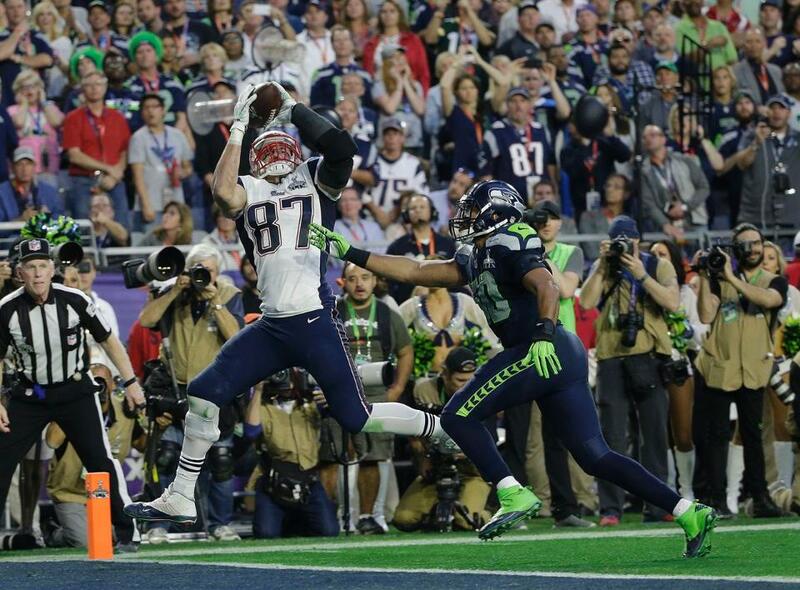 To the 12th Man, stay loud all game long, even between plays. 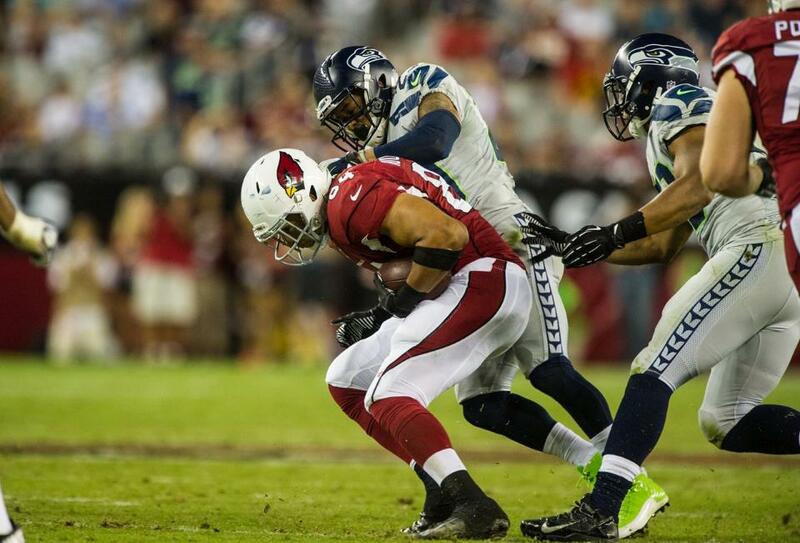 Our voices could be the difference between advancing to the NFC Championship Game and not. Random Thoughts: The Panthers will wear all-white with the Seahawks wearing all-blue this week… Kevin Burkhardt and John Lynch have the call for FOX this week. This is not a surprise given the potential ratings of the other NFC Divisional game (Dallas at Green Bay). It makes sense that FOX would send their number one crew of Joe Buck and Troy Aikman to Lambeau for that game instead… The referee this week is Terry McAulay. McAulay officiated the Seahawks divisional round game last season and Super Bowl XLVIII… Saturday is going to be a very long day but I wouldn’t want it any other way. I love primetime football. This is going to be a very special game… The giveaway this week is “We Are 12” rally towels. I love it. Towels should be the giveaway for all playoff games and I am glad to see the Seahawks are fixing their mistake from last season (they gave away 12th Man flags vs. the Saints)… Even though this is an evening kickoff it is the playoffs, and it should be expected that everyone be in their seats by the time pregame ceremonies start. I want to see a full stadium waving their towels as the Seahawks run out of the tunnel… I believe that there is an incredibly strong possibility that former Mariners pitcher and 2015 National Baseball Hall of Fame inductee Randy Johnson will raise the 12th Man flag this week. Don’t believe me? Check out this tweet… One of my favorite postseason traditions is when the Seahawks play Ozzy Osbourne’s “Let Me Hear You Scream” with a video encouraging fans to get loud as the television broadcast is coming back from a TV timeout. If they bring this back on Saturday night I am going to get super super pumped… This week marks the return of the Skittles in section 340. To everyone possibly sitting below me this is your warning to watch out. Streamers will also be making a re-appearance in these playoffs. Let’s make this playoff run a full on raging party in the stands… One win away from the NFC Championship and two victories away from Super Bowl XLIX. It’s on the tips of our fingers. 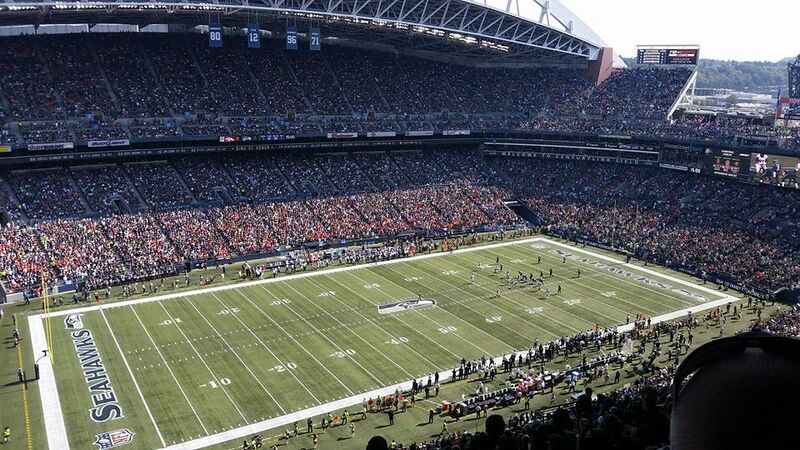 Prediction: The Panthers and Seahawks will keep this game close until the closing minutes of the first half. With the Seahawks holding a 7-3 lead, Richard Sherman will intercept a Cam Newton pass and Marshawn Lynch will score a touchdown with under one minute remaining in the half, giving the Seahawks a 14-3 halftime lead. 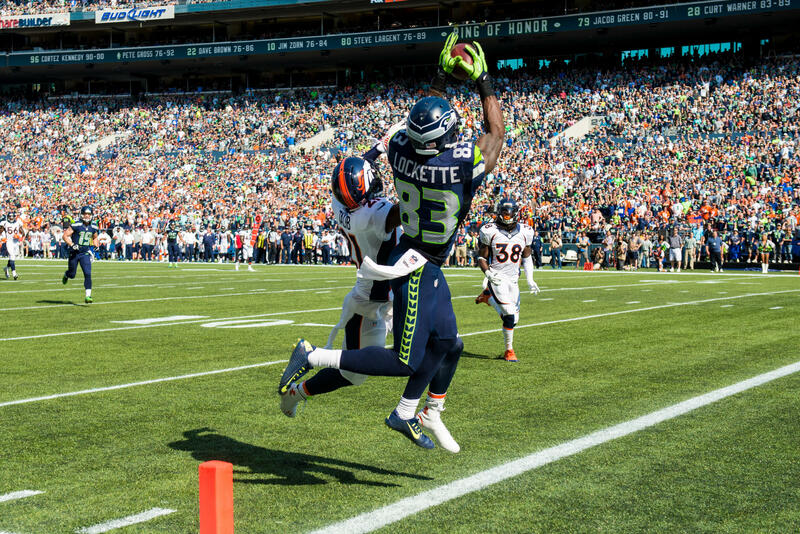 The Seahawks will carry that momentum into the second half as they will take the opening kickoff and drive the length of the field, culminating in a Russell Wilson touchdown pass to Doug Baldwin, giving the Seahawks a 21-3 lead. Beast Mode will add one more score in garbage time and the Seahawks will cruise to the NFC Championship to face the Green Bay Packers. Due to a belated birthday celebration for myself with all of my friends after the game I will not have my game review published until Sunday night most likely. By then we will know who we will face in the NFC Championship Game should we win on Saturday. Check back Sunday night for my take on Saturday’s game. Go Seahawks!